One last page for this week. I hope you have enjoyed seeing my pages. We had a few days stopover in Singapore on the way home from England and shopped till we dropped. During the coming weekend we are having our first Craft Mad Meet Up and Weekend Retreat at our home in Brisbane so much excitement here today. 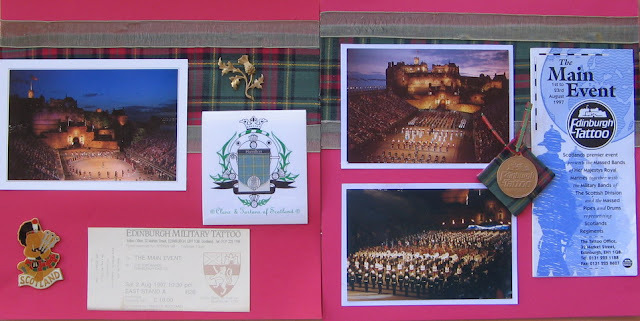 Still in Scotland today and I was able to tick one more thing off my bucket list ... a trip to the Edinburgh Tatto . A wonderful night that I will remember all my life. 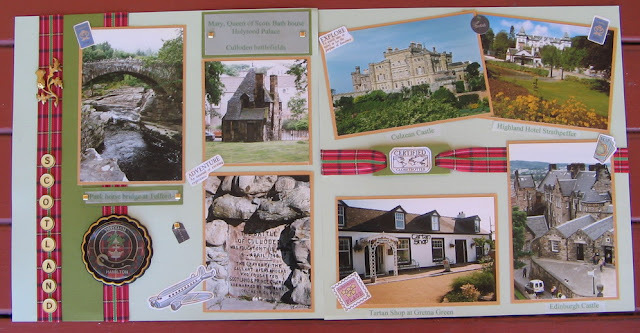 This week Iwould like to share some of the pages I have created from our travel photos. 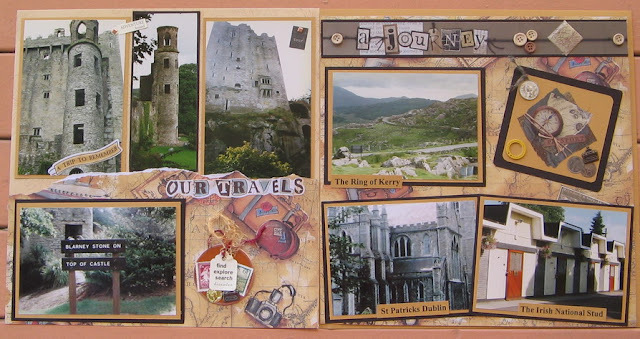 Todays pages are from our holiday in Ireland. Such a beautiful country, so much history. Last page for this week. Lunch on the deck with a group of friends , one of our favourite passtimes. I made this page shortly after receiving my eCraft machine and was playing with the different shapes available. First day of pre school is a big day in any boys life Here is Jay all ready to blast off for his first day. Todays page is another family page of my Great Nieces Such cheeky smiles. As this photo is a couple of years old, I can almost hearing them groaning from the next state as they are "grown up" now. 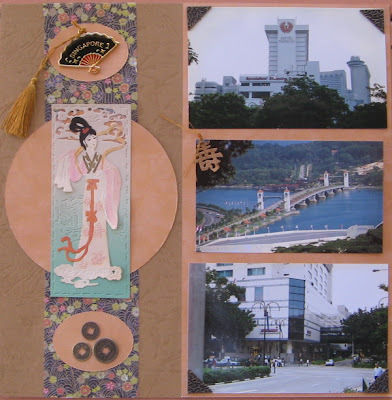 I have been sitting in the sun browsing through my scrapbooking albums. I don't really claim to be a great scrapper but I love my family photos and I have enjoyed putting these pages together and I do love to flick through them from time to time So many wonderful memories. I thought I would share some of them with you. 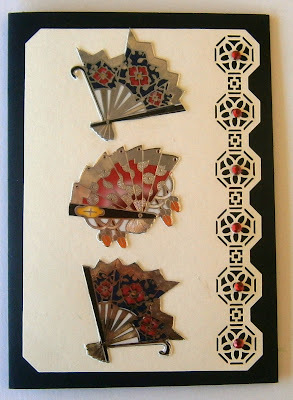 Todays photo is from my family album. 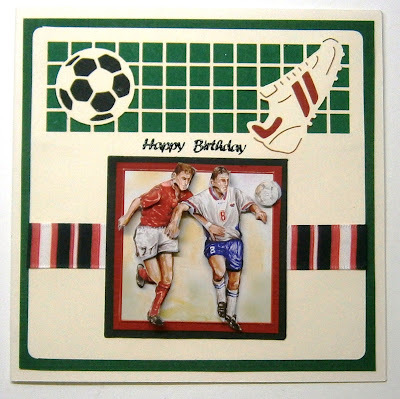 For the next few days I would like to some you some cards I have made up using the new card fronts from Doodey at Blue Edge Crafts. Check out the range in the Whats New section. 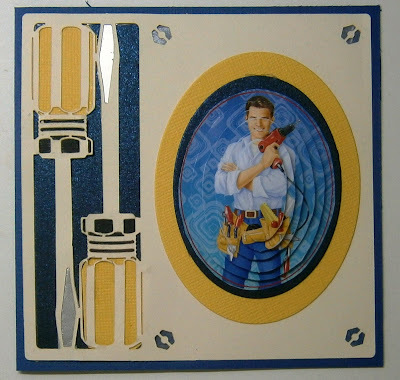 I have added Doodey Match It card kits to these cards. Thank you for visiting my blog thei sweek. Your interest is appreciated. 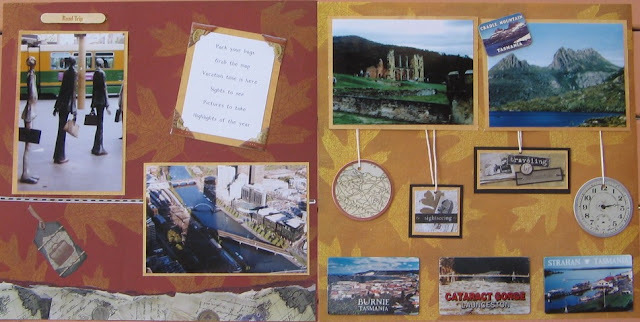 Scrapbooking Sketch Challenge for September. The year is flying by and our albums are filling up quickly. Time for September's page sketch to add to it. I have chosen a family reunion photo for my page this month. Christmas All Year Round Challenge for September. 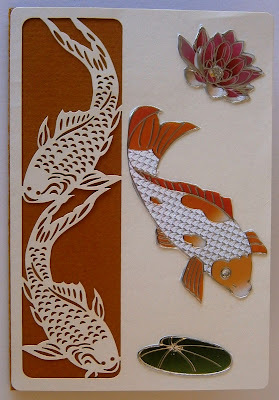 The theme for our Christmas All Year Round Challenge for September at Craft Mad is 3D. 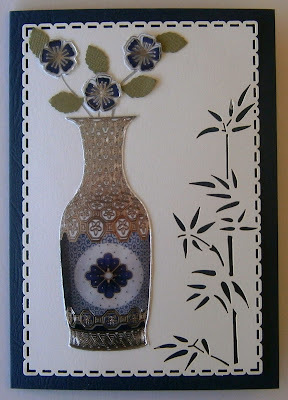 I have chosen a card from the Hobby Handig Magazine to make for this month . The little girl is a 3d image. 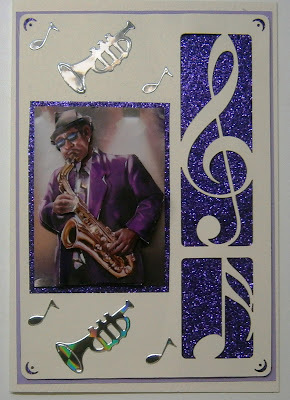 Time again for the September Card Sketch Challenge at Craft Mad. 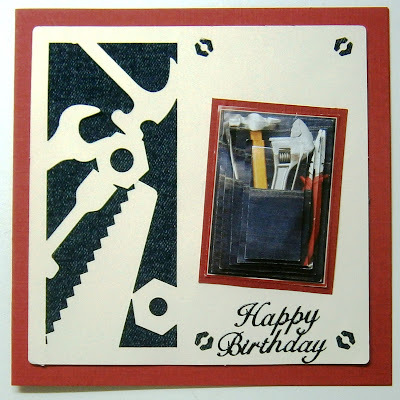 With Fathers Day in mind, the theme for the month is Male /die cuts. 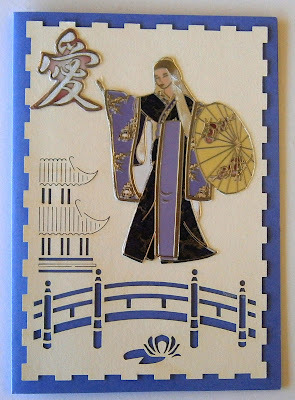 I have used a die Cut from Blue Edge Crafts for my sample card.